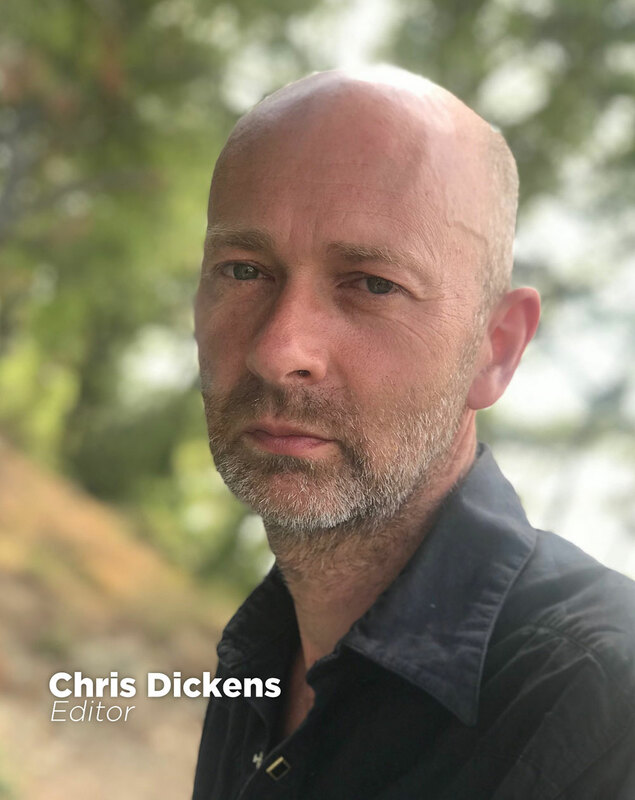 Few feature film editors have worked on such a diverse mix of films as Chris Dickens. His work ranges from Shaun of the Dead to Les Misérables, picking up an Oscar award along the way for editing Slumdog Millionaire. The latest film is Mary Queen of Scots, starring Gemma Chan, Margot Robbie, and Saoirse Ronan. This historical drama is helmed by Josie Rourke (Much Ado About Nothing), an experienced theatre director, who has also worked with film and TV projects. Readers will be familiar with Dickens from my Hot Fuzz interview. I recently had the pleasure to chat with him again about Mary Queen of Scots. [OP] I know that there’s a big mindset difference between directing for the stage and directing for film. How was it working with Josie Rourke for this film? [CD] She was very solid with the actors’ performances and how to rehearse them. There are great performances and that was the major thing she was concentrating on. She knew about the creative side of filmmaking, but not about the technical. We were essentially helping her with that to get what she wanted on screen. It’s a dialogue-driven movie and so she was very at home with that. But we had to work with her to adapt her normal approach for the screen, such as when to use images instead of dialogue. Filmmaking is all about seeing something more than you can just see with the naked eye. Plus seeing emotionally what an actor is delivering. The way they’re doing it is different than on stage. It’s smaller. Film acting is much subtler. I don’t think we ever had a difference of opinion about that. It was more that in the theatre you are trying to communicate things through an actor’s movement and language and not so much through their eyes and the subtleties of their face. With film, one close-up of an actor can do more than a whole page of dialogue. Nevertheless, she certainly gave the cameramen freedom, while she concentrated on performance. And she shot all of that stuff so we had enough to use to make it work on the screen. [OP] Did that dynamic affect how and where you edited? [CD] I was mostly at the studio, but I did go on location with them. We shot at Pinewood and then on location in Scotland and around England. I went up to Scotland, where we had some action scenes, to help with that. Josie needed feedback about what she was shooting and needed to see at it quickly. I also did some second unit shooting and things like that. [OP] Typically, period dramas require extensive visual effects to disguise modern locations and make them appear historically appropriate. They also are still frequently shot on film. What was the case with this film? [CD] It was shot digitally. The DoP [John Mathieson, Logan, The Man from U.N.C.L.E., X-Men: First Class] would have preferred film, because of the genre, but that would have been too expensive. There were always two and sometimes three cameras for most set-ups. But, there are very few visual effects. Just a few clean-ups. There is an epic feel, but that’s not the main direction. The film is a more psychological story about these two women, the Queen of England and the Queen of Scotland. They are both opposed to each other, but also like each other. It’s about their relationship and the sort of psychological connection between them. The story is more intimate in that way. So it’s about the performance and the subtleties to that story. [OP] Walk me through the production and post timeline. [CD] We shot it a year ago last August for about three months. I assembled the film during that time and then we started the director’s cut in October of last year. We actually had a long edit and didn’t finish until July of this year. I think we spent about thirteen weeks doing a director’s cut. Then the producer’s cut, and then, a director’s cut again. I think we did about two or three test screenings and we had sound editors on board quite early. In fact, we never stopped cutting almost right until the end. If you have a lot of screenings, everyone involved with the film wants to do a lot of changes and it keeps happening right down to the wire. So we basically carried on cutting almost right through till the middle of June. [OP] It sounds like you had more changes than usual for most film edits – especially after your test screenings. Tell me more. [CD] The core of the film is about Mary, who was a Catholic Queen, and Elizabeth, who was a Protestant Queen. Mary had the claim to not just be Queen of Scotland, but the Queen of England, as well. She’s a threat to Elizabeth, so the film is about that threat. These women essentially had an agreement between them. Elizabeth agreed that Mary’s child would succeed her if she died. This was a private agreement between the two women. The men around them who are in their government are trying tp stop them from interacting with each other and having any kind of agreement. So it’s about women in a very archaic world. They are leaders, but they are not men, and the system around them are not happy for them to be leaders. This was the first time there was a queen in either country ever – and at the same time. The theme is kind of modern, so the script – written by Beau Willimon, who writes House of Cards – was a bit like a political drama. In his writing, he intercuts scenes to give it a modern, more interesting feel. I followed that pattern – crosscutting scenes and stuff like that. When we started screening, a lot of people found that difficult to understand, so we went the other way around. We put things together and made the structure more classic. But when we then started screening it again, we realized that the film had ceased to be unique. It started becoming more like other dramas from this genre. So we put it all the way back to how it originally was. We went back to the spirit of what Beau had written and did more intercutting, but in different places. That is why it took so long to cut the film, because the balance was difficult to arrive at. Often a script is written in a very linear fashion and you cut it up later. But in this case it was the opposite way around. If you listen too much to the audience or even producers of the film you can lose what makes it unique. The hands of the director are very important. Particularly here, because this is a women’s story, directed by a woman director, and it was very important to preserve that point of view, which could very easily be eroded. She wrote it with Beau and he doesn’t explain everything. He doesn’t have characters telling you how they got to a certain place or why. We needed to preserve that, but we also needed to let people into the story a little more. So we had to make adjustments to allow an audience to understand it. [OP] I’m sure that such changes, as with every film, affected its final length. How was Mary Queen of Scots altered through these various cuts and recuts? [CD] The original cut was about two hours and 45 minutes, but we ended up at an hour and 55. To get there, we started to cut back on the more epic scenes within the film. For instance, we had a battle scene early on in the film and there was a battle at the end of the film where Mary is beaten and expelled from Scotland. They didn’t really have the budget for a classic battle like in Braveheart. It was a slightly more impressionistic battle – more abstract and about how it feels. It was a beautiful sequence, but we found that the film didn’t need that. It just didn’t need to be that complete. We had to make a lot of choices like that – cutting things down. We cut nearly an hour of material, which obviously I’m used to doing. However, what we found is that, because it was a performance piece, by cutting it down so far, we also lost a little bit of the air between scenes. It became quite brutal – just story without any kind of feeling. So once we got the the story working well, we then had to breathe life back into it. I literally went all the way back to the first edit of the film and looked at what was good about it in terms of the life and the subtleties. Then we very carefully started putting that back into the film. When you screen the film for audiences, you get very tunneled into making the story tighter and understandable, which is often at the expense of quite a lot. It’s an interesting part of the process – going back to the core of the story. You always have to do that. Sometimes you lose a little through the editing process and then you have to try and get it back. We also had quite a lot of work on music. We had a composer on board [Max Richter, White Boy Rick, Hostiles, Morgan] quite early and he gave us a lot of ideas. But, as we changed the edit, we had to change the direction of the music somewhat. Of course, this also contributed to the length of the editing schedule. [OP] Music can certainly make or break a film. Some editors start with it right away and others wait until the end to play with options. It sounds like music was a bit of a challenge. [CD] I normally go with it dry at the beginning. When I start putting the scenes together I tend to start using temp music. But I try to avoid it for as long as possible – even into the director’s cut. I think sometimes you can just use it as a bandage if you’re not careful. But on this film, we had a very specific tone that we needed to sell. It was a slightly more modern, suspenseful take on the music. We did end up using music a little earlier than I would have hoped. We had a cut the film and we had a soundtrack, but we were constantly changing it – trying new things – as the edit changed. The music was more avant garde to start with and that was our intention, but the studio wanted it to be a little more melodic. The composer is very respected in the classical world, so he took that on board and wrote some themes for us that took it into a slightly different direction. He would write something – maybe not even to picture – and then give us the stems. The music editor and I would edit the music and try it out in different places. Then the composer would see what we had done with it to picture. We would then give it back to him. He would do a bit more work and give it back to us. It was actually a very unusual process. [OP] With such a diverse set of films under your belt, what are some of your tips in tackling a scene? [CD] I go through the rushes and try to watch everything that they shot. If there are A and B cameras, then I try to watch the B camera, as well. You get different emotional things from that, since it is a different angle. In the ideal situation when there’s time, I watch everything, mark what I like, and then make a roll with all my selected takes. Then I watch it again. I prune it down even more and then start a cut. Ideally, I try to find one take that works all the way through a scene as my first port of call. Then I go through the roll of my selects and look at what I marked and what I liked and try to work those things into the cut. I look at each one to see if that’s the best performance for that line and I literally craft it like that. When you’ve watched half of a roll of rushes, you don’t know how to cut the scene. But once you’ve watched it all – everything they’ve shot – you then can organize the scene in your head. The actual cutting is quite quick then. I tend to watch it and think, ‘Okay I know what I’m going to do for the first cut. I’m going to use that shot for the beginning, that bit for the end, and so on.’ I map it in my head and quickly put that together with largely the selected takes that I like. Then I watch it and start refining it, honing it, and going through the roll again – adding things. Of course that depends on time. If I don’t have much time, I have to work fast, so I can’t do that all the time. [OP] Any closing thoughts to wrap this up? 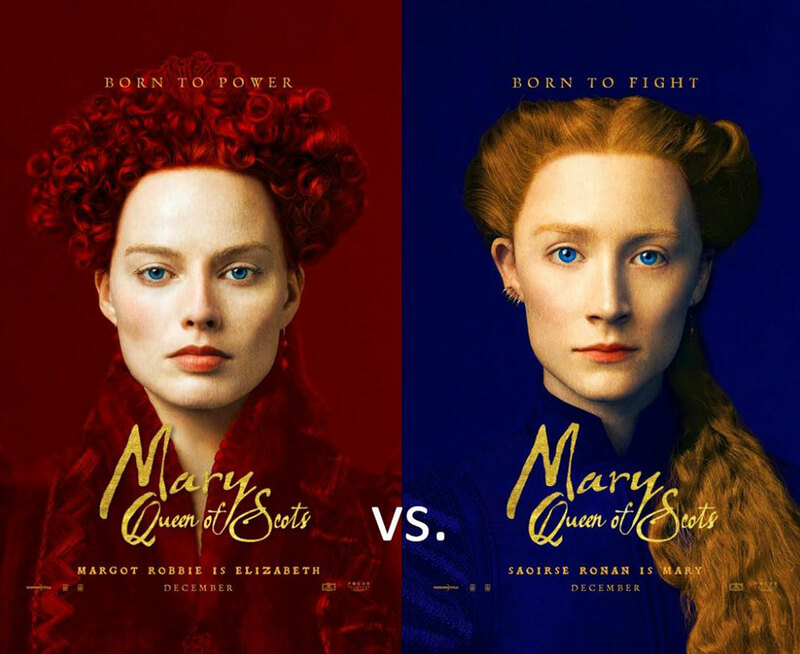 [CD] The experience of editing Mary Queen of Scots really reminded me how important it is to stick to the original intention and ambition of the film and make editorial decisions based on that. This doesn’t mean sticking to the letter of the script, but looking at how to communicate its intent overall. Film editing, of course, always means lots of changes and so it’s easy to get lost. Therefore, going back to the original thought always helps in making the right choices in the end. 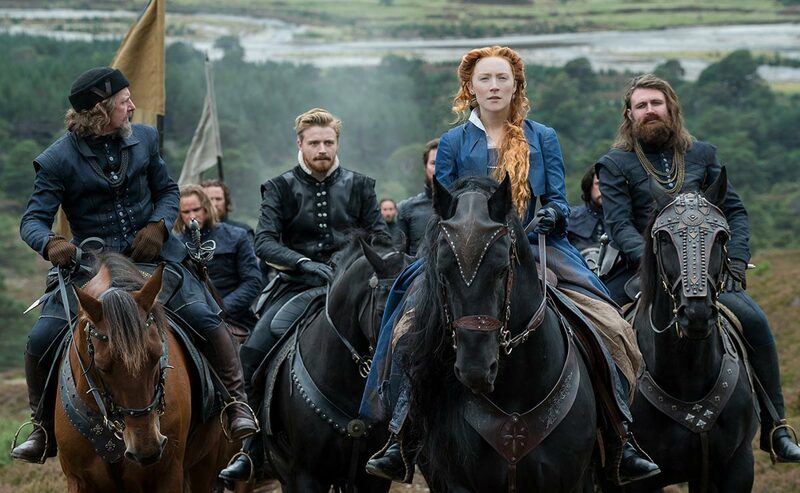 For more on editing Mary Queen of Scots, check out Steve Hullfish’s Art of the Cut interview with Chris Dickens. This entry was posted in editing, filmmakers and tagged editing, filmmakers.